Consider calling Alpha Energy Solutions if you need a chiller rental. Whether you need a commercial or industrial chiller system, we can help. It is our understanding that chillers are an investment. Moreover, we understand how important it is for you to manage your budget. 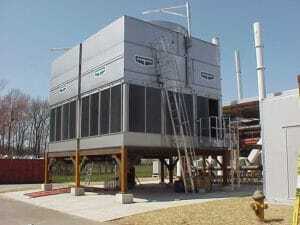 In some cases, a chiller is necessary to maintain operations in many different facilities. If you have only a temporary need for a cooling system, a chiller rental is an ideal choice. It is still very possible to enjoy the benefits of a permanent unit without the hassle of a long-term commitment. Alpha Energy solutions can help you find a chiller that suits your project and budget. Selecting a chiller rental might seem very complicated. In fact, in many cases it actually is. Chillers are complex. The systems have a variety of parts and narrowing down the best option is not easy. Since it may be difficult to navigate a chiller on your own, you should contact a service technicians. If you decide to contact a technician at Alpha Energy Solutions, you can take comfort in knowing our team has over 2000 years of experience in the field. In addition to decades of experience, we have access to top manufacturer brands. Having access to the leading brands enables us to respond to your service calls faster. A faster response time on service calls is a great benefit. As a result, you are able to get your system back online sooner. Reducing downtime in the event of an emergency is only one consideration. Complete mechanical failures may have catastrophic results. Preventing unexpected system failures can be done with ease. Protecting your chiller rental with a custom Preventative Maintenance Plan will help extend your system. We can provide status updates, seasonal service and predictive maintenance.